Most directors concentrate on television or film — John Laing has worked prolifically in both. Aside from helming seven features, Laing has worked on a run of television shows and telemovies, including an extended run producing Outrageous Fortune, as well as Safe House, Go Girls, Step Dave, Jackson's Wharf, Mercy Peak, Cover Story and Street Legal. In his hometown of Dunedin, Laing studied english and history, then began working at a local newspaper. His heart was already in film, and two months later he began as a production trainee at Government film-making body the National Film Unit. Within six months Laing was directing shorts, including fishing doco Kariotahi Beach, which he successfully fought to make without voiceover narration. 1972 saw Laing directing Mick Stimson, an adaptation of a poem by Denis Glover, and riding a unicycle for a Paul Maunder theatre production of Hamlet. At that point making feature films in Godzone did not seem a realistic proposition, so Laing and then partner (and future producer) Robin Laing left New Zealand for England. John edited at the then "depressing" BBC and elsewhere, then in 1975 got work in Canada at the National Film Board. It was the first time Laing found himself "in an environment where I was genuinely encouraged to do good work". In Canada he edited a run of shorts, and co-directed award-winning doco If Brains Were Dynamite You Wouldn't Have Enough to Blow Your Nose, made in collaboration with his future Lost Tribe cinematographer, Thomas Burstyn. Laing also helped patch together and write extra scenes for cult 1976 feature The Rubber Gun, about a bunch of Montreal junkies with robbery in mind. The film would have echoes in a later Laing-directed film, junkie black comedy The Shirt. Laing returned to New Zealand after John Barnett gave him the chance to direct his first feature: Beyond Reasonable Doubt, based on the Arthur Allan Thomas case. Laing had to contend with a large cast, and the complexity of a story which continued to develop even during production (Thomas was released from prison a few weeks before filming began). Beyond Reasonable Doubt became — in terms of box office — the most successful Kiwi film yet made, at least until the yellow mini of Goodbye Pork Pie roared into view. It was nominated for Best Film at the Chicago Film Festival. Next Laing edited chase movie Race for the Yankee Zephyr, and worked on the script for his dark, stylish, sometimes muddled second feature, psychological thriller The Lost Tribe. Laing has described it as "a bizarre tale of a brother searching for his twin who was lost in a wild area of Fiordland". John Bach, playing two very different twins, praised Laing's skills as a director. "One day I changed characters five times, and he enabled me to do it." The Lost Tribe won the international critics prize at the Sitges fantasy film festival in Spain. Laing followed The Lost Tribe with the more widely-seen Other Halves. The "superb screenplay" was by Sue McCauley, based on her own award-winning autobiographical novel. The film chronicles the relationship between an affluent 30-something Pākehā woman (Lisa Harrow), and a 16-year-old Polynesian with a criminal record (Mark Pilisi). Harrow, who returned to New Zealand to star, told Onfilm magazine she learnt "a huge amount" from Laing about screen acting. "He's the ideal director because he's calm, prepared, clever and imaginative." Other Halves won praise from The Listener, The Auckland Star and North and South reviewer John Parker, who praised its power and performances. The early 80s proved especially busy for Laing. Aside from completing The Lost Tribe, Other Halves and his third feature, low-budget thriller Dangerous Orphans (whose powerhouse cast included a singing Jennifer Ward-Lealand) he was also making his first ventures into directing and producing for television. 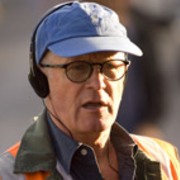 Laing directed episodes of light drama Inside Straight, and what would become the penultimate episode of working class trucking drama, Roche. Laing and Chris Hampson were contracted to produce a second series, but despite excellent reviews the project was cancelled. In the same period, Laing began directing the first of a long series of foreign-funded television shows, most of them horror, thriller, or fantasy based. Some took him to locations in Vancouver and Paris, while others were made in New Zealand, under the wing of Xena-impresario Rob Tapert. Laing also directed two films for the New Zealand pavillion at Expo 88. In 1992 Laing directed road movie-romance Absent Without Leave (1993). Starring Katrina Hobbs and Australian Craig McLachlan, the tale of a soldier going awol for the woman he loved was based on the real-life war-time experiences of Kiwi Jim Edwards. Since then television has been Laing's main base. Through the 90s he directed for acclaimed making-a-current-affairs-show drama Cover Story, Tom Scott tele-movie Tiger Country, and historical drama Greenstone. He reunited with Lost Tribe/Roche actor John Bach for episodes of detective series Duggan, for which Bach had the starring role, and also found time to direct movie The Shirt. Of the low-budget addiction tale, which was invited to the 2000 Wellington Film Festival, Laing told writer Ian Conrich: "I learnt more from that than just about anything else I have done." In 2001 Laing produced 60 episodes of small town drama series Mercy Peak. He went on to do an extended stint as producer of Outrageous Fortune, and also worked on prequel Westside. Alongside directing a run of family tele-movies, Laing has found time to helm episodes of border security series Orange Roughies, hit shows Go Girls and Nothing Trivial, and 2012 telemovie Safe House, the tale of a woman under witness protection. His 2017 telefilm Abandoned — based on the crew of capsized trimaran Rose Noelle — earned him the 2017 NZ Film Award for Best Television Feature.